Jen Atkin is Releasing Ouai Curly Products - Will You Try Them? 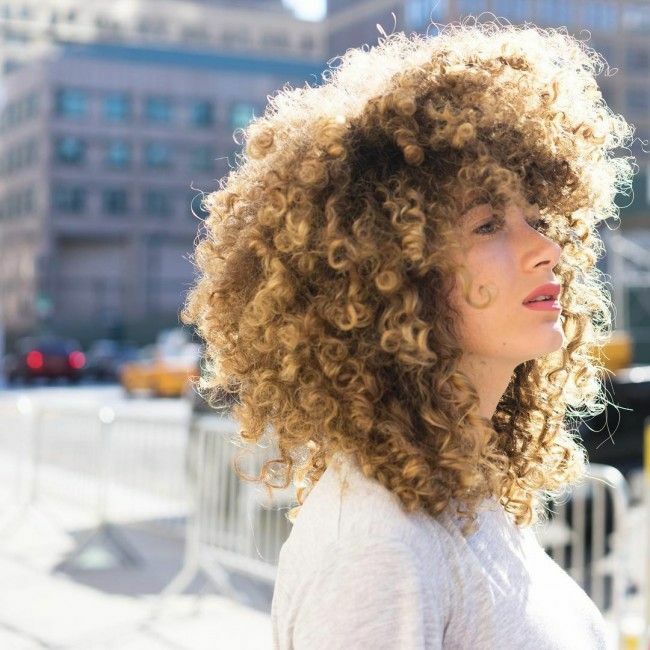 As curly hair becomes increasingly more accepted in mainstream society, it’s no wonder the number of companies jumping on the bandwagon to provide us the perfect curly hair products has been rapidly growing - can you blame them? In a previous article of mine on "the most Influential hairstylist in the world" Jen Atkin, as named by The New York Times, I discussed the interview in which E! Online presenter Raleigh Burgan asked Atkin "The one hair trend you can't stand?" to which Atkin responded, "Cheesy, spiral curls." We figured Atkin needed to get an educated response on all of the ways our curls are not, in fact, cheesy. Nor are they a trend. We have now learned that Atkin has released a line of products catering to curly hair with her hair care company, Ouai. Products like the Curl Shampoo and Conditioner promise to clarify, hydrate and nourish our lovely curly locks. She polled her curly-haired followers on Facebook Live Video to find out what they wanted in their products, and from the product formulas it looks like she took their input into account. The Curl Shampoo has no parabens, sulfates, and no phthalates, which is perfect because we curlies can do without those ingredients. The Curl Conditioner has no parabens and phthalates, however it does contain silicones like Amodimethicone and Polysilicone, which are deposit-repelling silicones that build up over time and can be very difficult to remove. The price point for these products is rather high for an on-a-budget Product Junkie like myself. With prices ranging from $26-$28 for an 8-10 ounce bottle, you may want to carefully consider whether it's worth a try or not. They do have TSA-approved travel sizes for some of their products that cost $8-$12, so if they do release the curl products in travel sizes that will be a good way to try them before committing to the full size. I have not tried these products so I can’t speak from experience, but I'm curious to know how well it does in a very competitive natural hair market. It's encouraging to know that she thought to add some products that are not exclusive to straight hair and is broadening her hair care horizon a bit. So you go Jen! A lot of celebrity hair stylists come out with product lines that only cater to a certain category of hair and Atkin was smart to add a few products that we curlies can indulge in if we choose to. In her E! Online interview, she called our curly hair cheesy and I felt the need to respond with a positive and educational message. In our social media world it is too easy to send backlash after a comment like that, but we all know that the things we say can sometimes be misinterpreted. I hope my response wasn’t too harsh and I’m happy to see Atkin adding naturally curly hair to her repertoire with Ouai, that way there’s a little something for everyone. Would you be willing to try Ouai’s curl products?